My favourite quote and words that truely show how i feel about my girls. You may have noticed that i have changed my blog name and had a little makeover. I have had this blog for a year now and "sweet days" just didnt feel to fit me or my blog. I wanted something more personal. Something that really meant something to my family. So, please bare with me whilst i get used to being "i was the sea" and swapping everything blog related to this new name. Eventually, i hope to get a personal URL for this blog so the url doesnt confuse people. So hello! I am truely excited to have a new name and have a new outlook on this blog. I adore blogging but have lost my way a little these past two months but it is something i looked forward to each day, so i know i need to set time for this blog and make some wonderful friends. 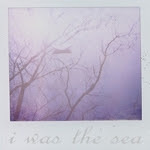 oh and please would you give a little vote if you like us here at i was the sea? I like the new name and look!